February, 2017 | Liberta Inc. | Liberta Inc.
Local innovation “What do you do in Yamaguchi? – International College of Science Project Type Resolution Task Force Research Symposium -” was held as follows and representative Keijiro Sawano attended as a panelist. Yamaguchi University School of International Studies has adopted “project type problem solving research (PBL)” instead of conventional “graduation research” from the second half of the third year to the fourth year. This is a process in which students in universities and societies through a process of students establishing projects with enterprises, local governments, nonprofit organizations, etc. for solving the problems facing local communities, It aims to nurture practical human resources who can solve problems while cooperating with programs. What is “project type problem solving research”? CEO Keijiro Sawano will make an effort as a judge on the second day of “Creative Shinshu Thon” will be hold on March 3 (Friday). 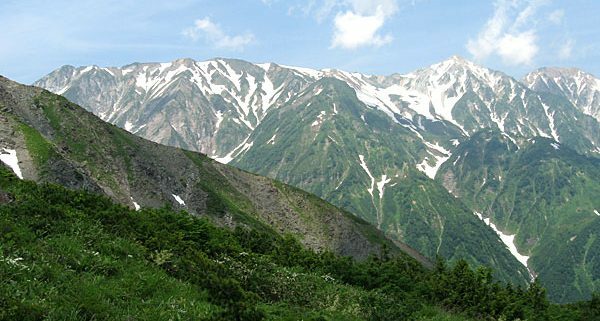 At this event, companies, municipalities and people who are involved in sightseeing in Nagano Prefecture, through their method called Ideathon, Hackathon, will create their own Nagano experiences with their own hands and make tourism and we aim to utilize them for Nagano Prefecture DMO. https://liberta-inc.com/en/wp-content/uploads/2017/02/hakuba.jpg 425 600 Liberta Inc. http://liberta-inc.com/en/wp-content/uploads/2017/02/liberta-logo-300x75.png Liberta Inc.2017-02-17 19:24:082017-02-28 08:18:47CEO Keijiro Sawano will make an effort as a judge on the second day of "Creative Shinshu Thon"
“Ramen Feature” (Yahoo! Life Magazine) that we offered content to Yahoo! JAPAN was released on February 6th. We will be in charge of our web editing team and we are proceeding with coverage work from the end of the year and it has been made public. The trend of ramen is evolving day by day gourmet which can enjoy the most change. Ramen using blue pepper, ginger, pepper (Hoa Jao), smoked foods are appearing. It is a new sign that the range of enjoyment is getting widespread. Specialty shops offering instant noodles are also appearing. Brian as the famous an American ramen blogger reports Michelin ‘s star-acquired store “Nakiryu” this time. Mr. Saito and Brian are having a talk full of love with ramen. February 2017, the website was renewed. In the future we will expand our business domain to the following areas, and we will continue our activities. We are also looking for fellows who work together again! https://liberta-inc.com/en/wp-content/uploads/2016/02/chiba_2.jpg 1080 1920 Liberta Inc. http://liberta-inc.com/en/wp-content/uploads/2017/02/liberta-logo-300x75.png Liberta Inc.2017-02-09 17:22:142017-02-28 08:19:36February 2017, the website was renewed.